Note: Not everyone is the same, or has the same needs. Please consult your doctor or healthcare provider, and get any testing done to make sure you need any of these supplements before you start taking them. Many of these can be detrimental to your health if you take too much, or may not be as effective if you take too little for your personal situation. Vitamin D is something that a lot of people are deficient in. Not only does it help bone metabolism, and calcium regulation in the body,but there are studies that indicate a link between thyroid disease and low Vitamin D levels. Many endocrinologists are testing for this automatically now. Ask your doctor to test to see if you are deficient or low in this very important vitamin! Vitamin D, Autoimmune and your Thyroid - Good explanation on how if your Vitamin D Levels aren't adequate it can be hard to get thyroid levels optimized. 92% of Hashimoto's Patients with Vitamin D Deficiency - From HypoThyroid Mom, who talks about how Hashimoto's patients tend to be deficient in this vitamin and what you should do about it. Iron, or Ferritin levels are intricately tied to thyroid hormones. Iron is one of the things necessary to synthesize thyroid hormones, so too little iron in the body could contribute to hypothyroidism. There is a lot of controversy about this supplement. The thyroid is one of the few places that uses iodine and it helps it make thyroid hormones. However, what one needs to keep in mind is that too much iodine can cause your thyroid to go into overproduction, causing hyperthyroidism. Hyperthyroidism can cause your entire system to go into overdrive, causing things like heart attack, or stroke or even death. Too little iodine for your body and you cannot make enough thyroid hormone causing you to go hypothyroid. So PLEASE make sure you get tested by your doctor to see if you need to supplement and how much BEFORE you start adding iodine to your diet. Should All Thyroid Patients Take Iodine? - Very Well Health talks about the benefits and dangers of supplementing with iodine for your thyroid, recommending testing before trying it. Selenium can be considered a very important thyroid supplement. It supports the underlying cells in your body, and there is some evidence that it helps to convert T4 to T3, which is your stored thyroid hormone converting to the active form of your thyroid hormones. Very little is needed on a daily or weekly basis, but it's not something that is in very much of most people's diet. It is classified as both a micronutrient and and it helps fight against free radical damage. Check out some of the links below to find out more. Selenium Benefits for Your Thyroid - Good discussion of Selenium, how it helps support the thyroid and symptoms of thyroid dysfunction. 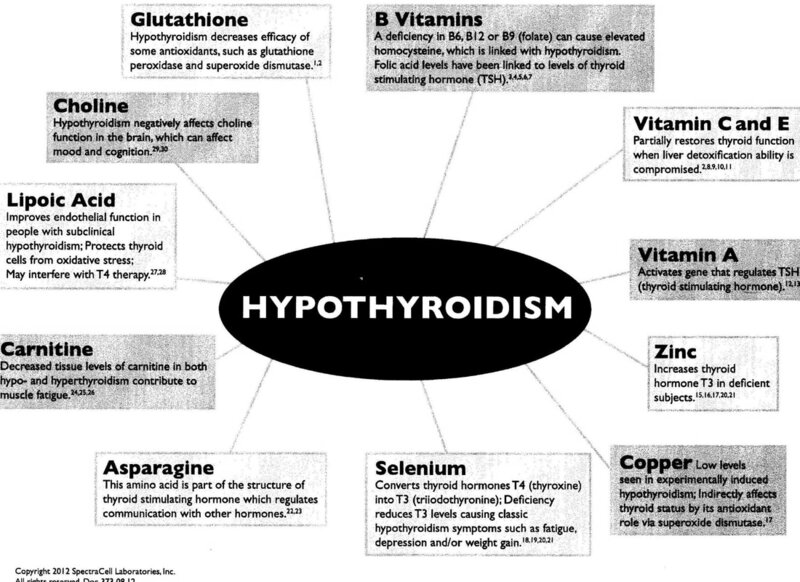 Hashimoto's and Selenium - Great article from Dr. Izabella Wentz the "Thyroid Pharmacist"